1. An easy-care plant like this aloe vera will brighten up your bathroom. Succulents, cacti and plants like aloe vera are easy to care for, and love to live in bathrooms – there's no need to water them when the condensation from the shower will do the job. 2. One slightly fancy item can lift an entire room of Ikea. Maisons du Monde is a French interiors company that does a great line in cheapish-and-chic. 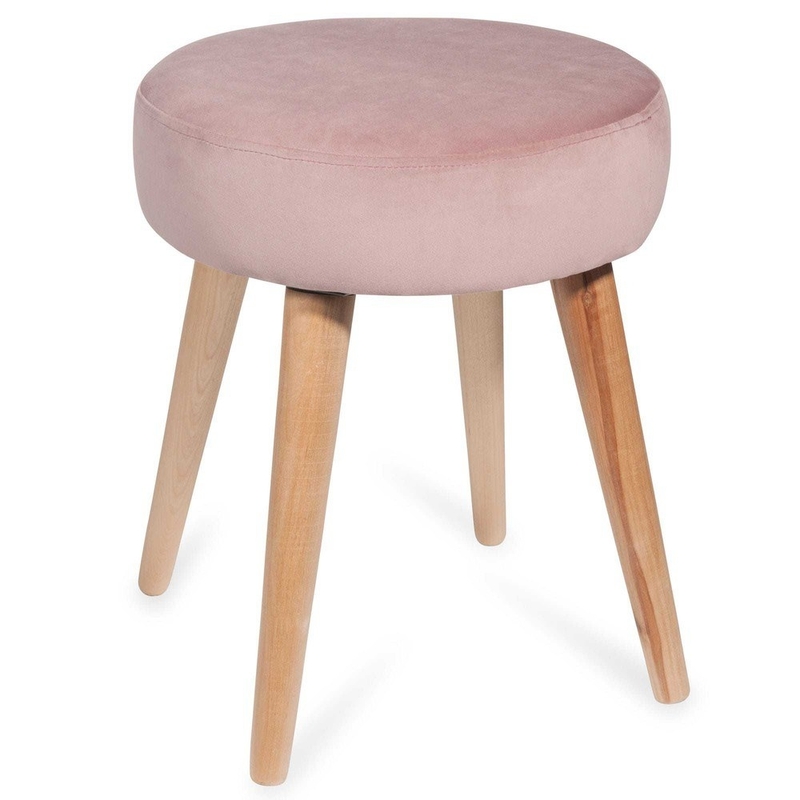 I am in love with this velvet stool, which looks more expensive and luxurious in real life, I promise. 3. A brightly coloured bedside table will make waking up each morning a pleasure. La Redoute is another French brand that does cute homewares. I love this little wooden bedside table – you could easily carry it into your living room if you were having friends over for drinks too. 4. Embrace junk you can't store with a lovely basket. I keep our extra blankets on show in an old straw basket. If you can't hide 'em, you may as well make a feature of them. 5. A metal-edged mirror can make a room look bigger, as well as being a ~design piece~. I think mirrors look cool propped up, if you're worried about putting nails in your wall. If you don't want to buy one online, I've had great success with foraging in charity shops. 6. Add a splash of sophis' to your bathroom with a matching set. I'm all about design touches that you can bring with you once you move house. And this ceramic bathroom set is very Med chic. 7. A small fluffy throw can double up as a rug or a blanket. I just bought this blue one from La Redoute and am so excited about squishing my toes into it each morning as I step out of bed. 8. A glam candle holder is an elegant touch for any occasion. 9. A vibrant cotton rug cheers up any space. This rug from Oliver Bonas is 100% cotton, so it's easy to clean, and soft as anything. I love the gold and green accents too. If you'd rather a deeper colour, they also do it in burgundy. 10. A pretty vase doesn't need flowers to make a statement. I'm in love with these Anthro vases, but I appreciate that at £26 each they're a bit steep. I've had great success stalking similar ones on Gumtree, so keep an eye out in your area. 11. A statement wall clock is an easy way to make an impact. I think this cutlery-themed clock is really cute, and it's an easy way to add a bit of personality to a kitchen wall. If you don't want to hang it on a nail, you could sit it on top of a bookshelf or a cabinet. 12. Liven up the dreariest bathroom with a new shower curtain. When my friend and colleague Emma did up her flat recently, the thing that people commented on the most was her new shower curtain. I love this one, from Urban Outfitters – and it's machine washable too. 13. A mirrored tray will make even your TV remote control look classy. I keep my makeup on a mirrored tray because I am a fancy lady, but you could use it as normal tray too! 14. A jolly tablecloth will lift the drabbest table. 15. Show off your prints while saving your walls from nails with these hangers. There's no need for a heavy frame, and your landlord won't get annoyed about loads of nail holes.